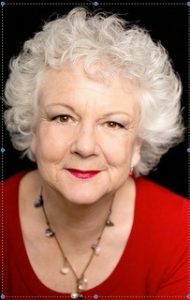 Today I am delighted to welcome Sylvia Howe to my occasional author interview series, A Day in the Life. Sylvia’s family has had connections with India since the days of the East India Company. She is the last recent generation to have been born there, growing up on a tea estate in Bangladesh, taught by her parents until she came to school in England. She has worked in London in staff jobs for Vogue, Country Homes and Interiors and London Portrait, and as a freelance writer for many national newspapers. She married a conservationist and left the UK to live in Africa and Brussels, working there for international organisations such as the UN and the European Commission. Since she returned to England she has continued writing and editing fiction and non-fiction, and teaches in Her Majesty’s prisons. 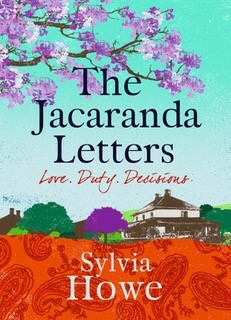 The Jacaranda Letters is her first novel, based on a conversation Sylvia overheard about her great aunt Helen, whose mother prevented her from marrying the man she loved. Her second, Feverfall, is based on her years in Africa and will be published in 2018. Q: You were making your living as a journalist, so why write a novel? I have always written. After getting an English degree at Bristol I did the Vogue Talent Contest and was the only finalist to be offered a job – as a sub editor, which was the best training any writer could have had – and still is. I learnt a lot about my writing and other people’s, so when I went on to edit some other magazines (London Portrait, Country Homes and Interiors) I knew what I was talking about, and what makes good and bad writing. When I left England I also left the world of journalism, but while in Africa I was commissioned to ghostwrite an autobiography. This proved that I could manage both long and shorter pieces of writing and taught me stamina and determination. Life was slower than in the UK, and I had the time to polish my writing, contribute to some publications and start doing what I have always wanted to do – write a novel. I got an agent who was kind and very encouraging but my first book, Feverfall, set in Africa, was not taken up by a publisher, although some were complimentary, which made rejection easier to take! It gave me the push to write another, better book. And I realised I had a great story to tell! This stayed with me, and when I was thinking about a novel, it seemed too good to waste. In the novel, I have my present-day heroine find letters from Helen, which hint at something uncomfortable in the past. She goes out to poke around, with her Indian novelist employer, and finds out a lot more than she expected. I also felt great affection for the book – the subject matter is close to my heart, it’s a good romantic story set in India and England in the Thirties. But I have been delighted when many of my readers have said how moments in the novel have taken them completely by surprise. Q: Many of your readers have also commented how your love of India shines through in your writing. India is so much a part of me that it was inevitable that I set a book there. My childhood memories are vivid : we lived on a tea estate and as the small daughter of the manager, all I received was kindness. I left in 1964 to come to school in England and returned in 1968, when everything seemed much smaller, but people remembered me and I remembered them. I was very sorry to leave, and I have been back several times since, but to different parts of the country. Q: What were the main differences you noticed in making the transition from journalism? 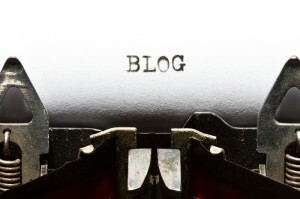 Writing a novel and writing articles is similar – but also very different. Both require writing skills, but a novel requires dedication, and there is no deadline, certainly none for your first one. It is so much easier to let time pass, and dither, and delay with a novel, whereas there is always someone waiting for a commissioned article, and the feedback is of course much quicker. If you are a half decent journalist, you thrive on deadlines and word length and a specific brief. Novel writing is much more amorphous and it is entirely up to you how long you take, what you write about, and how you do it. And if you are publishing it yourself, you have to be firm with yourself. The buck stops with you. Q: What key factors influenced your decision to self-publish? I got an agent when I was quite young, and she was very encouraging but then retired and passed me on to someone else in the agency who wasn’t interested in The Jacaranda Letters. I sent it to a few publishers, who sent it back, and then I decided that I didn’t want to feel a failure so frequently so I decided to do it myself. I was encouraged by a friend who has written and self–published several books successfully, and I realised that the publicity process required would be very similar, so I might as well get any benefits for myself. Q: Arguably, an independent publisher bringing a debut novel to the market has to be even more attentive to marketing than an established publisher. How do you go about it? I have booked a one-to-one social media lesson to learn as much as possible. Up to now, I have designed my own website on SquareSpace, set up a blog on WordPress, have my own Twitter account, and have a Facebook author page. I am waiting to learn what else I can do to spread the word. I spoke to someone who works for a digital marketing company and was interested to learn just how specific you can be about your market. Social media is increasingly important. And I really enjoy it. I have been very pleasantly surprised with all the support there is out there. It is so easy to stick with what you are familiar with, and women of my age can dismiss the internet and what it offers because we have not been brought up in a digital world. I find it exciting and full of possibility. Q: With the number of self-published books increasing by 59% last year alone, it’s really difficult for authors to make their books stand out. How do you go about this? A really good cover, and very rigorous editing and formatting. A good story that attracts good reviews. And it helps to have a hook. Last year there was the TV programme Indian Summers, which got people thinking, and showed them how beautiful India is and how complicated – both themes in The Jacaranda Letters. And Partition happened in 1947, when India and Pakistan were divided, so there were TV programmes, a film called The Viceroy with Hugh Bonneville and Gillian Anderson so that also brought India and the relationship between the British and the Indians to the fore. To look inside or buy click here. Q: I have to say that your cover is really beautiful. Who designed it and what brief did you give them? She is terrific. She has worked with fabric design and then collage, and that seemed perfect for a book on India. We talked about what effect was needed, I asked for Indian colours and said I would like some paisley and the Jacaranda part to be prominent and she has done exactly what I wanted and a lot I couldn’t do. Q: Having been through the process, what do you think the greatest advantage of self-publishing is? You have control over what you write, what it looks like and how you sell it. Q: On the other hand, is there anything you feel self-published authors miss out on? I wrote hard for a long time, then I edited and formatted hard. I am marketing hard now, and am warming up to my second novel. I try to spend a couple of hours a day on that, and will increase this when it develops a life of its own. Q: And, of course, you also have a day job. I have a part time day job, which allows me time to write. I teach English and Assertiveness in a women’s prison and also tutor young people taking GCSE and A Level English. Q: In an interview about self-publishing, asked about advice he has for fellow authors, Hugh Howey recommends patience and says that you can’t lose if you combine happiness with low expectations. How do react to that? Is there any advice you would add? I don’t expect to make much money in the short term, but I would like to build my reader base because my book(s) are rattling good yarns and are written well. I have waited so long to get my first book out, I really can’t stop now! I hope in India. I was interviewed for The Times of India last week, so perhaps that has got me some interest. Q: What are the things you wish you’d known before you published your first novel. You have to have faith in your book and believe that it is good enough. Better still, that it is very good, and worth other people spending time and money on it. This is not easy, and you go up and down all the time. Remember, this too will pass! Formatting and uploading has to be done again and again and again – whenever you think it is finished, there is something else you find that needs correcting. And there will be mistakes that you spot in the actual published book. It takes a long time to get books delivered from CreateSpace, unless you spend quite a lot on postage! Order lots to begin with and keep them at home. It would have been good to start publicising the book a few months before publication. I would now always recommend people to build up a relationship with independent bookshops, contact book festivals, set up the website and all the social media and offer themselves as speakers wherever appropriate. It is very annoying now when people say “Oh I’ve always wanted to write. I think I will have a go” implying that if you have, they can! I always tell them that I think it was Mark Twain who said “Nobody wants to write a book. Everyone wants to have written one.” I am now one of those who have and it’s a very good feeling! 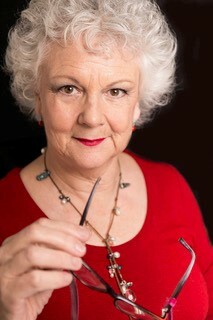 Want to find out more about Sylvia and her writing? Remember, if you enjoyed this post please share it. If there’s anything else you’d like to ask Sylvia please leave a comment.